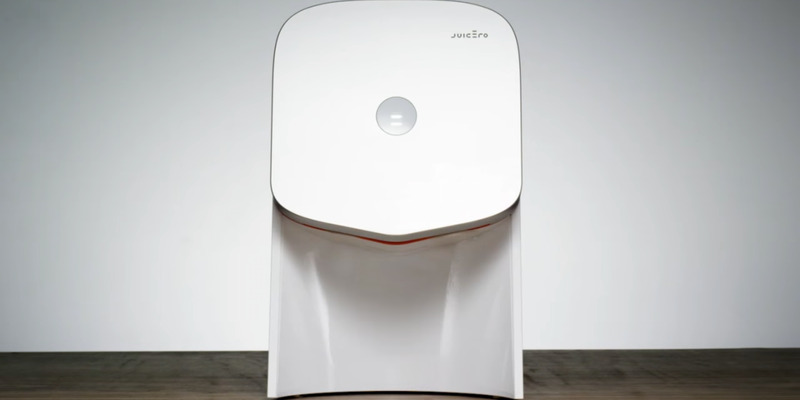 Juicero was a well-funded startup that sold a high-tech juice machine for $US700. Now one has been spotted in a thrift store for $US40. Three years ago, one Silicon Valley startup set out to disrupt juice. Juicero, founded by Doug Evans, was a combination of an incredibly high-tech juicing machine – initially sold for $US700, but later discounted to $US400 – and a subscription service with regular deliveries of $US7 pouches custom-made for the machine and filled with fresh fruits and vegetables. It received over $US120 million in startup venture capital from top-tier firms including Google Ventures and Kleiner Perkins. Now, you can buy a used Juicero machine for $US40. One person tweeted over the weekend that they saw a Juicero machine at a Los Angeles Goodwill “with the busted keyboards and crusty printers” for $US40. “Wow it’s heavy,” @anfael_ tweeted. Juicero ceased operations in September 2017, after a brutal year which saw the startup cut prices, swap CEOs, and defend its machine from critics who called it superfluous or worse. The end of Juicero meant the end of Juicero’s juice packets, which means whoever buys the $US40 machine won’t be able to make juice with it. Last April, Bloomberg discovered that people were able to squeeze Juicero packets by hand, without the machine, which was the beginning of the startup’s end. Juicero was forced to release a video showing what’s actually inside a Juicero packet, and the machine’s expensive price started to seem much more like a reflection of Silicon Valley hubris than the necessary costs at the start of a major food company. April was also when a venture capitalist with hardware experience bought a Juicero machine and took it apart. He found that the machine was wildly over-engineered, with beautiful metal parts and several complicated mechanisms. “Of the hundreds of consumer products I’ve taken apart over the years, this is easily among the top 5% on the complexity scale,” BoltVC partner Ben Einstein wrote. So in some ways, the $US40 price tag for the used Juicero is a bargain – as long as you’re not planning to make juice with it. Because even at $US40, it’s still cheaper to use your hands.